We are updating our home and I love to discover new ideas. 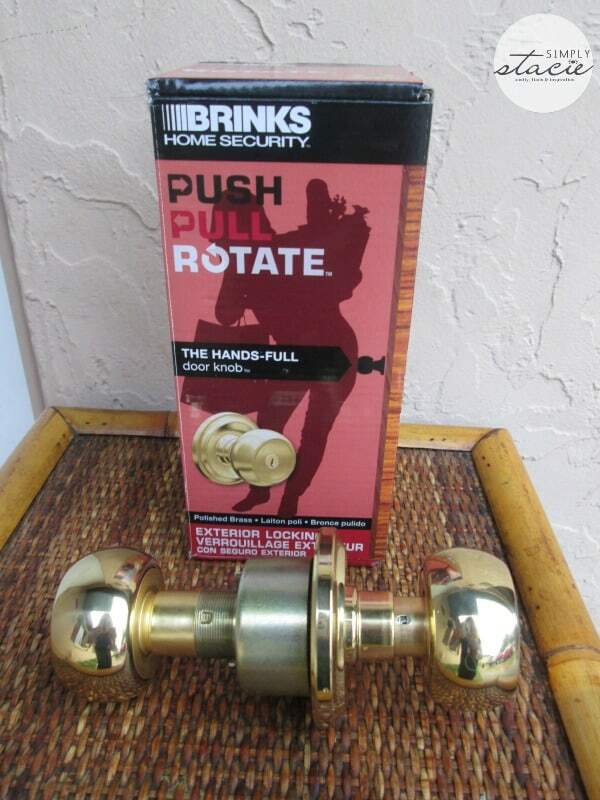 I recently discovered the new Push Pull Rotate Door Knobs and Levers from Brinks Home Security and think that the concept is ingenious. This innovative line of door knobs and levers is exceptional because it makes opening the door easier than ever. Are your hands full of shopping bags or are you carrying a sleeping toddler? No problem, simply pull or push on the knob using your elbow, hips or even one finger and the door will open effortlessly. Prefer the traditional door knob? 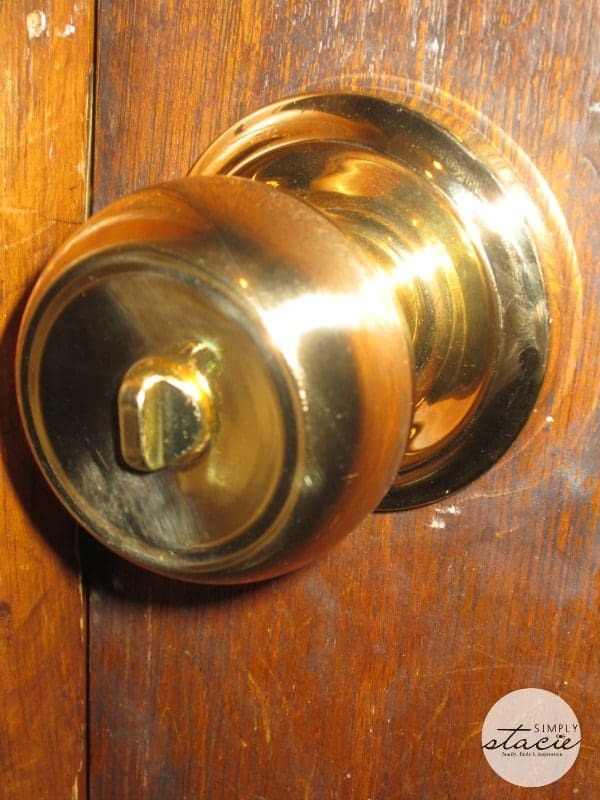 The rotate feature also makes it easy to use like a regular door knob. I appreciate that the Push-Pull-Rotate door knob is a revolutionary way to open doors using any of those three options easily. Brinks Home Security Push-Pull-Rotate door knobs and levers are available for both exterior and interior doors and has the option for matching deadbolts available for maximum security. I really like the wide selection so that you can find the perfect style, function or finish for your home décor. Brinks has really paid attention to making these look really nice when installed with hidden screws and a 33% increased coverage area to hide blemishes like we have on our older model door. Our old lock between the garage and our interior was ready for an update and my husband thought that the Push-Pull-Rotate door knob would be a great idea. We received an exterior locking door knob and Mark said that it was very easy to install and he has the peace of mind that it is constructed to be durable with all metal and a cylindrical chassis. You can choose from Exterior Locking/Keyed Entry, Interior Locking and Interior Non-Locking to best suite your personal home needs. The door knobs are just as easy to use as the company describes and it only took a few tries for my children to get the hang of using the knob to open and close the door. We are also considering the interior styles for inside the home as well. We were also very impressed with the affordable prices which range from $24.97 to $29.97. It is available for purchase online at Lowes.com and at selected Lowes stores in the United States. If you are looking to update your home with new door hardware then I highly recommend this line from Brink Home Security. The Push-Pull-Rotate door knobs and levers are going to change the way busy families open their doors! You are invited to visit Brinks Home Security to learn more about this product line and check out all of the great features. What a great product! Thanks for doing the review. I am always struggling to get in my door with my hands full. The hubby and I are going today to look at these! Wow, this is absolutely awesome!! I’m going to have to check into these, I’ve never heard of them, thanks so very much. I could really use this for my back entrance, I am forever cursing at it with my hands full-thanks! I do a lot of risk management and security consulting at an international/corporate level, but when I see something like this review for products that one can use on a personal/home-based level, I get excited! Its scary how easy it is to break into a home, even via the front door which is often not as secure as people perceive. Thank you for the review! What an awesome idea, I could use one of these! My one question is how do you prevent people from just pushing it to get in? I would lock it and it wouldn’t be easier if I had to unlock it with my arms full of groceries! How does that work then just like an conventional knob, unlock it first then push it? Great review! I always have my hands full when leaving/returning home so I could definitely use a knob like the one pictured. Love all the locking and opening options. This would be great for grocery day. How wonderful to not be juggling grocery bags or bottles of water and trying to get inside. This sounds interesting. Definitely handy when you have your arms full! !